Last week made this league a little more confusing. After seven weeks of games, I thought there was two clear cut favorites in this league, but then last week’s games changed my mind completely. The Heat squeak one out and the Nets (at full force) take it to the Warriors. Nothing is for certain, just yet, in Charlotte Draft League. Behind Rishawn Brown’s 21.2 ppg (fourth in league) and Jerome Lynch’s 20.5 ppg (fifth in league) the Heat continue to pick up wins and hold onto their No. 1 power rankings. Last week they faced a (0-5) Knicks team that no one gave a shot too. In the end the Heat pulled out a four-point victory, but showed there is some weaknesses for teams to exploit to knock them off the top spot in the weeks to come. A late second half push and the energy/rebounding of Rishawn Brown and Nate Davis are what gave the Heat the victory in the end. The absence of Zuriel Overby seemed like it cost the Warriors this past week in their defeat to the Nets, their second straight loss. Having already played the Nets and beating them (without Landon Beckwith and Alan Beckwith) is one of the main reasons the Warriors come in at No. 2 in the power rankings alongside of the Nets. Ali Waheed’s team when at full strength is still one of the best teams in the league. Zuriel Overby leads his team with a 27 PRA, which means he does it all for the Warriors. Landon Beckwith, league leading scorer at 25 ppg, got his Nets team back in the winning circle and back to No. 3 in the power rankings with a 47 – 37 victory over the Warriors. Like I have said before, call me bias, but when at full strength this team is as good as any team in the league. 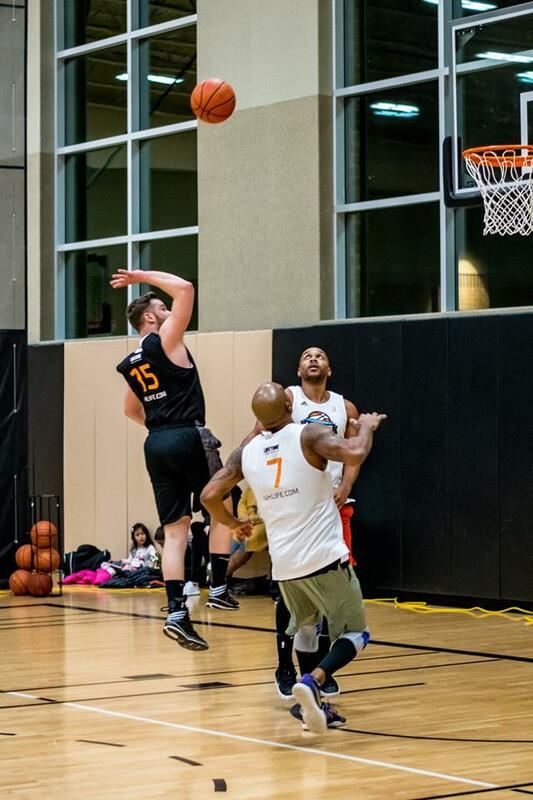 Chris Kent continues to dominate on the offensive/defensive boards, averaging 13.8 rebounds per game, to lead the league. Only two games left for the Nets as they make a push for the playoffs and the top spot. A bye week for the Lakers allowed them to rest and recover, before a very pivotal Week 8 matchup vs. the Nets. The late addition of Carlton Holmes is making this team really believe they have the best chance of capturing the fall league championship. Tim Hartman will continue to add points/rebounds/steals like a “mad man” week in and week out, but Holmes brings this team a solid scoring option from the low post to pair with Bakari Sellers rebounding. Everyone should really look out for this team in the weeks to come. The Knicks can play with anyone, they proved it last week when they only lost to the Heat by four, but led much of the game. If Bryan Woodward is healthy and James Cochran knocks down a few more 3s, we would be talking about the huge upset in Charlotte, but it wasn’t to be for the Knicks. I look for this team to get some rest and hopefully get back on track with two games left.